Just released the brand new video from ‘Saints Of Sin’. The track 21 shots is taken from their debut album ‘Welcome To The Circus’ available now. This album has had rave reviews & the band just wow audiences with their live performances wherever they go. With a coach full of very loyal fans the band embarked on a real adventure filming this video for 3ms music. 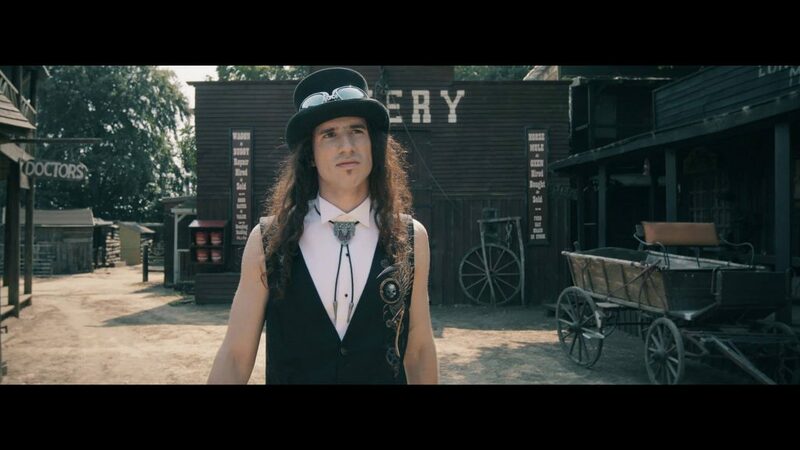 You only have to watch to see how much fun this was to make in an authentic Wild West Town our filmmaker Richard Allen & crew have really pulled out all the shots on this classic video. Don’t take our word for it – have a watch and see for yourselves! This entry was posted in Saints of Sin and tagged 1980s, classic rock, Glam Rock, Hair Rock, Rock.